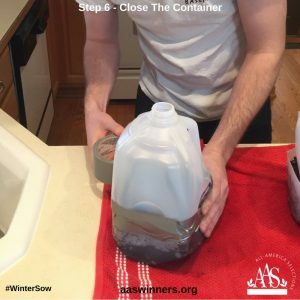 Here’s How to Winter Sow…. 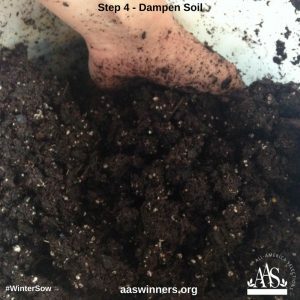 It’s the dead of winter and you just want to be out in your garden planting, well here is a great way to get your hands dirty and your seeds started…Winter Sow! Winter sowing is the easiest way to get your plants started by letting the changing seasons help. You plant your seeds in the winter in plastic jugs and the warming springs bring the seeds to life in their own little greenhouse! 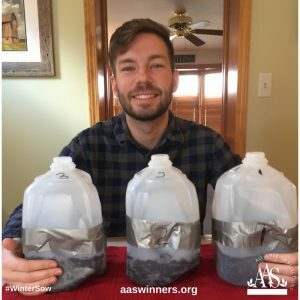 Plastic Jugs like gallon water or milk jugs, 2-liter soda bottles or any clear jug that you can work with easily and that will hold 3-4 inches of soil. If you do not have anything, ask around to neighbors or local cafes or coffee houses. I found mine at a local cafe that saved them for my once or twice a week pick up. Be sure to rinse out the jugs before you use them. 2. 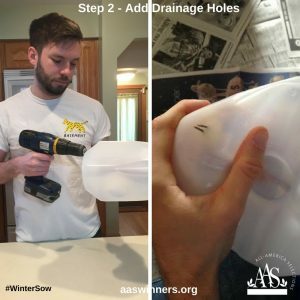 Drill holes in the bottom of the jug for drainage. If you drill before the jugs are cut, use a drill to make 4 or 5 holes in the bottom of the jug. If you cut your jug apart first and then make the holes, use a corn cob holder. Please note, it is easier to make the holes when punctured from the inside out. 3. 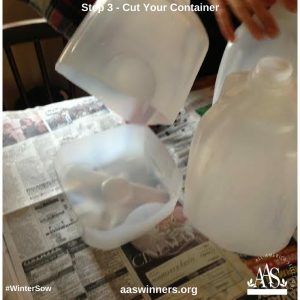 Cut jug apart with a box cutter or scissors leaving enough room in the bottom section for 3-4 inches of soil. Leaving a small section attached to each other makes it easier to reconnect but not necessary for final success. 4. Dampen your soil mix thoroughly but not too wet so water pools in the container. Use a good all-purpose soil mix or one that works for seed starting. Now it’s time to plant your seeds. Depending on the size of the plants will determine how many to plant in your container. If you are sowing tomato seeds, do about 4-5 seeds or so. You want to have enough soil for each plant when you transplant into your garden. The general rule for planting is to plant deep twice the size of the seed. Note: The seeds will germinate at the time they would naturally – meaning cool weather crops, broccoli, kale, spinach, etc will germinate earlier than warmer season crops like tomatoes, peppers, squash. Don’t despair and think the warm season seeds won’t come up because they will, just be patient! Make sure you secure the entire seam with duct tape so it is an enclosed environment. Before closing, you may want to add a stick with the variety name on it or use a permanent marker and write the name or number on each container. 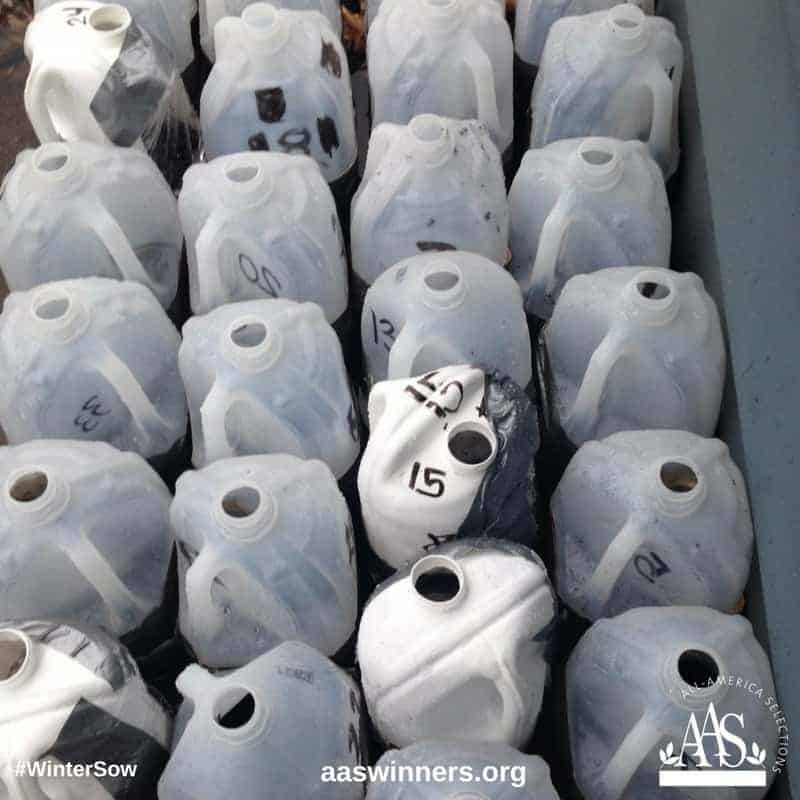 Be sure that the cap is off the jugs or if no opening, add a few vent holes for oxygen exchange! Now it’s time to bring your containers outside and let nature do its thing. 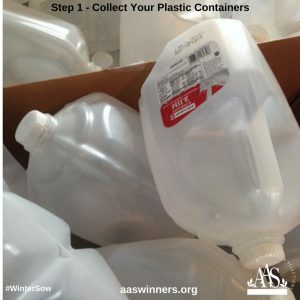 These containers can be put out in the coldest of weather and can be covered with snow. But you don’t need to have a super cold winter to benefit from winter sowing. Think of winter sowing as a way to get a head start on your gardening, like a greenhouse for your seeds on a really small scale. Once the sun becomes stronger and the weather warmer, be sure to take the lid off the jug to let the plants harden off. 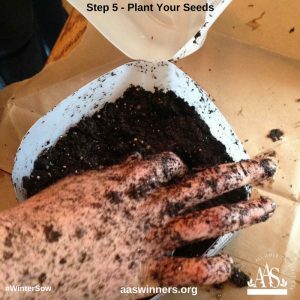 When your area is frost-free and you are able to plant your seedlings, remove them with some soil and plant in your garden. You will be surprised at how strong and healthy these plants are and how much earlier you will receive fruits and flowers! And next year you will do more…guaranteed! What a great idea! We get our milk in glass jars, so I may have to track down someone else’s milk jugs. Or I have some clamshell plastic containers saved from salad mixes. Those might be a little too short, but I’m curious to see what happens. Thanks for sharing! Clamshell containers should work fine! We got our jugs from a local cafe. They were more than happy to save them for us.